Very Good. 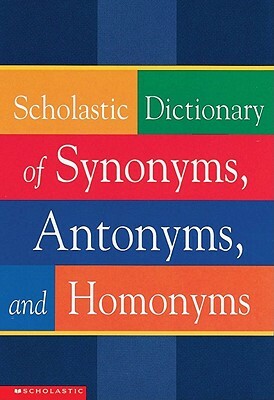 Scholastic Dictionary of Synonyms, Antonyms, Homonyms by Scholastic, Inc., 2001-12-31. Trade paperback (US). Glued binding. 224 p. Intended for a young adult/teenage audience. Good. 1965. Paperback. Vintage paperback, in good condition. Some shelf wear......We ship daily from our Bookshop. Good. 1974. Paperback......We ship daily from our warehouse.